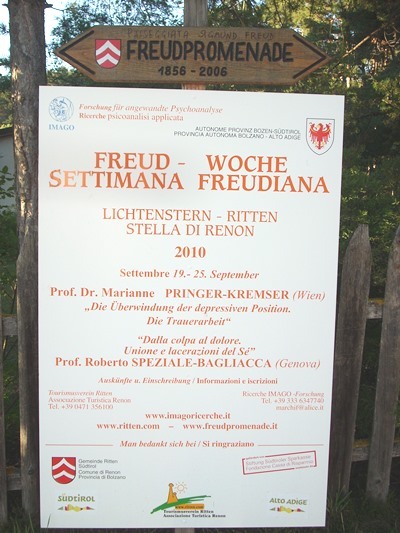 As part of Francesco Marchioro's project, the Renon Council and Imago Ricerche association have dedicated the main path of Renon, the number 35, running from Soprabolzano to Collalbo, to Sigmund Freud, the founder of psychoanalysis. 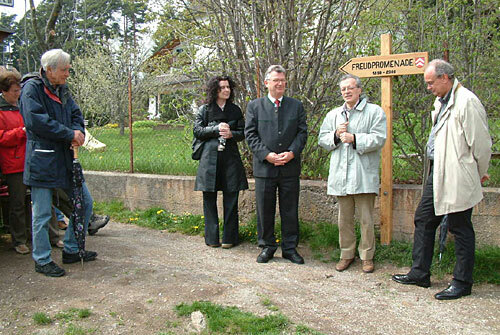 This commemorates the 150th anniversary of his birth (6th May 1856 - 6th May 2006) and the path has been named "Freud-Promenade". Walking together with the expert Francesco Marchioro along the Freud-Promenade: Freud's Civilization and its Discontents (1929-2019). Walking together with the expert Francesco Marchioro along the Freud-Promenade: Freud: (1919-2019) "The Unkanny" and the Art. 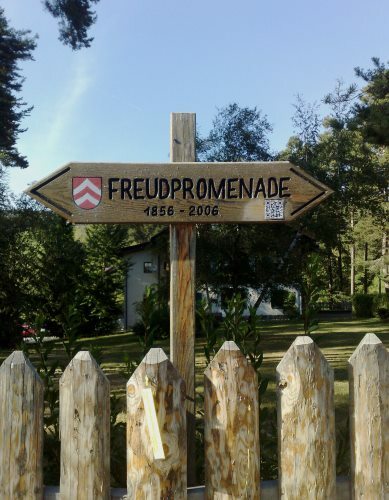 Walking together with the expert Francesco Marchioro along the Freud-Promenade: "Freud (1899-2019): The interpretation of dreams is the via regia to a knowledge of the unconscious in the psychic life." Walking together with the expert Francesco Marchioro along the Freud-Promenade: "Freud: Aphorisms and quotes". 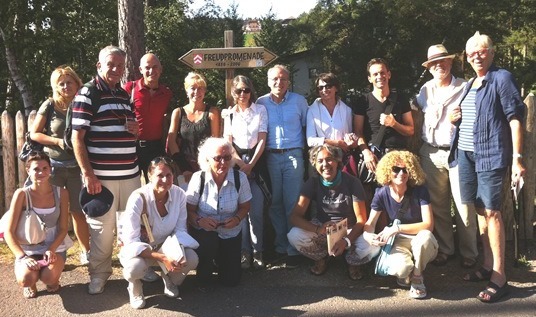 Walking together with the expert Francesco Marchioro along the Freud-Promenade: "Freud's letter (1911.9.1. ): Here on Renon the place is divinely wonderful and pleasant…". Walking together with the expert Francesco Marchioro along the Freud-Promenade: "Freud's Interpretation of Dreams" (1899-2019). "Anna Freud's letters (July 1911) from Renon to her father". Freud's letter (1st September 1911), “Here on Renon the place is divinely wonderful and pleasant...". Friday, 20th October 2017: at 2,20 p.m. – Train Station of Lichtenstern - Walking together with the expert Francesco Marchioro along the Freud-Promenade: "Anna Freud's letters from Renon to her father". Thursday, 21st September 2017: at 2,20 p.m. – Train Station of Lichtenstern - Walking together with the expert Francesco Marchioro along the Freud-Promenade: "Freud on religion and his myth of origins". Friday, 18th August 2017: at 2,20 p.m. – Train Station of Lichtenstern - Walking together with the expert Francesco Marchioro along the Freud-Promenade: "Freud and the secret of Athena". Friday, 14th July 2017: at 2,20 p.m. – Train Station of Lichtenstern - Walking together with the expert Francesco Marchioro along the Freud-Promenade: "Creative writers and day-dreaming". 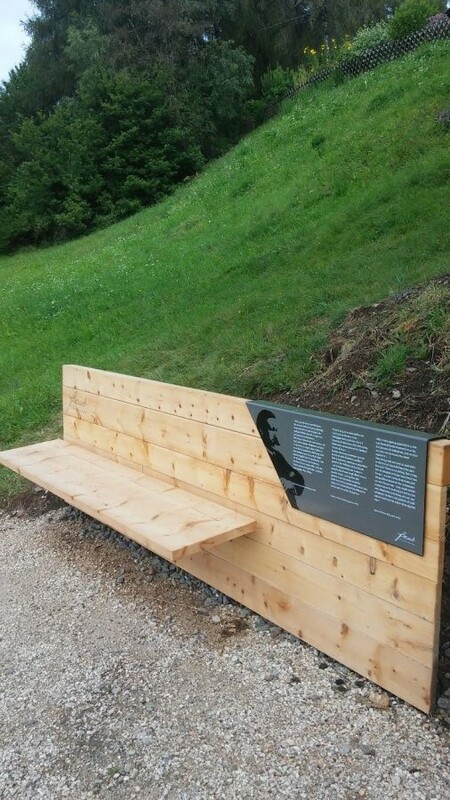 Wednesday, 21st June 2017: at 2,20 p.m. – Train Station of Lichtenstern - Walking together with the expert Francesco Marchioro along the Freud-Promenade: "What does it mean to seat on a Freud's bench?" Saturday, 6th May 2017 (1856, Freud's birth-day): at 2,20 p.m. – Train Station of Lichtenstern - Walking together with the expert Francesco Marchioro along the Freud-Promenade: "Freud's letters: Here on Renon the place is divinely wonderful and pleasant...". Friday, 21st October 2016: at 2,20 p.m. –Train Station of Lichtenstern: walking together with Francesco Marchioro along the "Freud-Promenade". Friday, 23rd September 2016 (1939, Freud's death): at 2,20 p.m. – Train Station of Lichtenstern: walking together with Francesco Marchioro along the "Freud-Promenade". Friday, 19th August 2016: at 2,20 p.m. – Train Station of Lichtenstern: walking together with Francesco Marchioro along the "Freud-Promenade". Friday, 15th July 2016: at 2,20 p.m. – Train Station of Lichtenstern: walking together with Francesco Marchioro along the "Freud-Promenade". Friday, 24th June 2016: at 2,20 p.m. – Train Station of Lichtenstern: walking together with Francesco Marchioro along the "Freud-Promenade". Friday, 6th May 2016 (1856, Freud's birth-day): at 2,20 p.m. – Train Station of Lichtenstern: walking together with Francesco Marchioro along the "Freud-Promenade". Sunday, 27th September 2015: at 2 p.m. – Lichtenstern, Haus der Familie: walking together along the Freud-Promenade. Reading Freud and Anna, Jung, Rank, Ferenczi. Sunday, 10th May 2015: at 2 p.m. – Lichtenstern, Haus der Familie: walking together along the Freud-Promenade.